4 Beds 3 Baths 1 Partial Bath 2,893 Sq. ft. 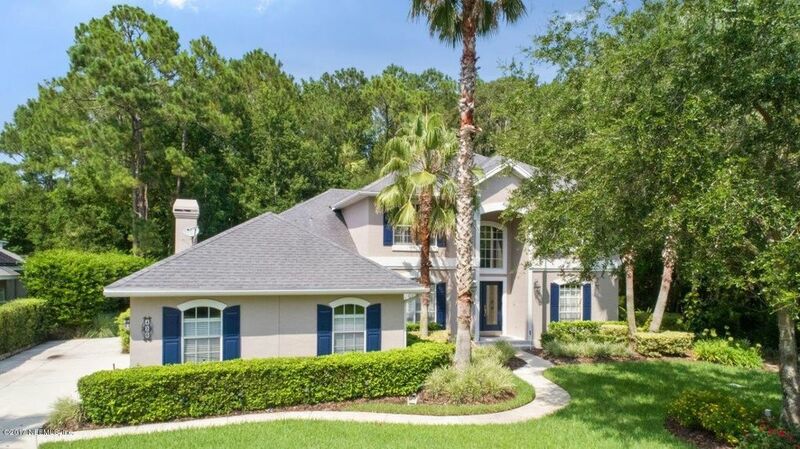 Wonderful home on great lot with preserve in the back & side of home for tons of privacy. Enter through double leaded glass doors to lovely living room & dining room with built-in niche. Oversized kitchen with granite countertops, stone detail under bar area, upgraded appliances & glass front cabinets, breakfast nook with mitered glass & family room with coral stone fireplace with built-ins all overlooking backyard paradise with screened pool & covered lanai. Luxurious master suite on 1st floor with 2 walk-in closets, en-suite bath with tub & separate shower. Upstairs features 3 bedrooms & 1 full bath. Gorgeous wood floors throughout all living areas & stairs. Surround sound speakers on 1st floor & outside. Side entry 3 car garage. Immaculate!